The Grand Theft Auto series is the ultimate commentary on modern America. Greed, lust, money, and crime are wrapped together into a Las Vegas buffet of a game that is entertaining, insightful, and overwhelming in its sheer variety. What fascinates me most is the way GTA represents the tempo of modern culture better than almost any other medium. Everything from the music playlists, the polygonal landscapes that mimic real cities, the caricatures of celebrities, and the fascinating antiheroes. 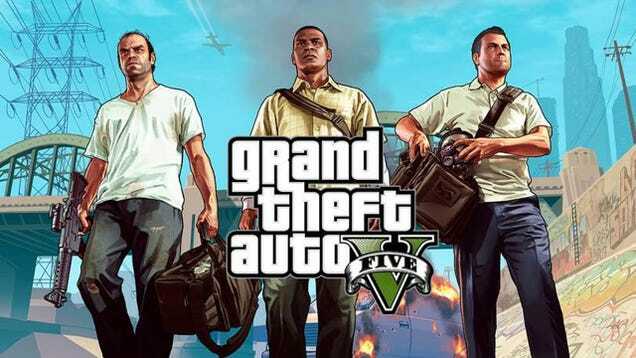 Whether you take it as allegorical, symbolic, or literal, the Grand Theft Auto series is the modern epic. 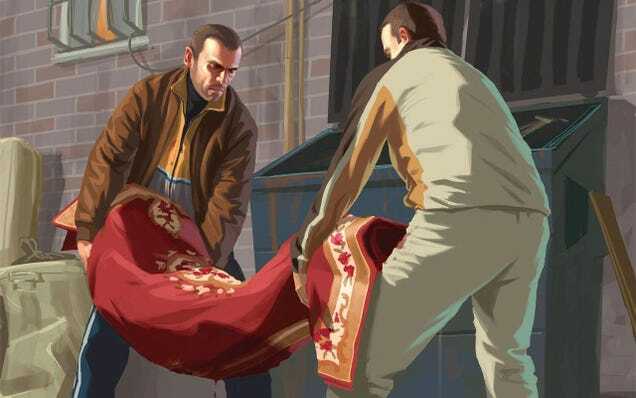 GTA IV still remains my favourite because of the story and Niko, who is my favourite character in the whole canon. He embodies and represents the American dream, twisted underbelly and all. Let’s get this out of the way. On almost every level, GTA V has superior gameplay and visuals. With three playable characters, the jukebox for destruction never gets repetitive. I’ve lived in Los Angeles more than a decade, and Los Santos captures the feel of LA perfectly (with the exception of the heavy traffic). I could even pull up to the street I lived on and pose in front of a building I saw every morning. The map is HUGE and Los Santos is a massive canvas for mayhem. There is a scale to the missions that blew me away, combining the best gangster movies with the over-the-top sensationalism and humour known to the series. Some of them included shooting down an airplane, jumping aboard a train with a motorcycle, unleashing Armageddon in military suits during the Paleto Score, and waking up in a body bag at an FIB morgue. The Three’s Company mission particularly stands out for the way it involved all three characters in a bold rescue. Trevor flies the helicopter to the destination where Michael rappels down a skyscraper to break out the prisoner. Franklin provides backup support as a sniper, followed by a helicopter battle that was as daring as it was unbelievable. The ambitious gameplay seamlessly melds with the latest in technology and the list of improvements from GTA IV is extensive. Driving is taut and Franklin’s special ability to slow time behind the wheel is especially helpful in aiming your weapons (something I struggled with on the driving levels in IV). Drug trips provide a strange mix to the missions (monkeys and aliens, anyone?). You can play stocks, the smartphone interface is more intuitive, the TV shows are stranger and more satirical, characters have increased customisation, and there are actual mid-mission checkpoints, meaning you don’t have to restart the whole thing all over again as in GTA IV. 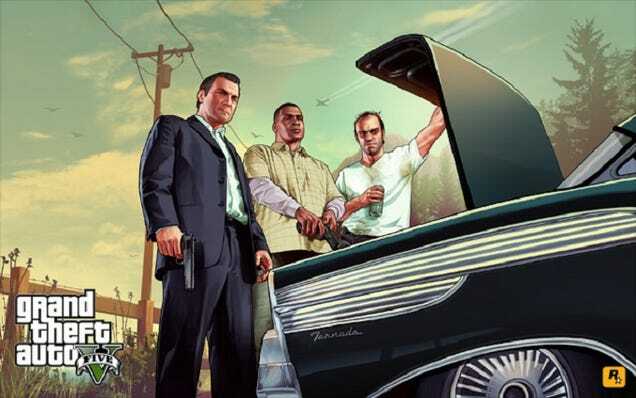 The GTA series has always had great performances, and V—with Ned Luke (Michael), Shawn Fonteno (Franklin), and Steven Ogg (Trevor)—is no exception. Michael wants to maintain the status quo, keep his family happy, and not go crazy in the process. Franklin wants to rise above his current circumstances and believes Michael can help him get more opportunities. Even if the narrative seemed to be going down a familiar mentor-protege type of dynamic, it was executed so well that I couldn’t wait to play each new mission. And then all of that is upended when Trevor shows up and pretty much takes over the game. 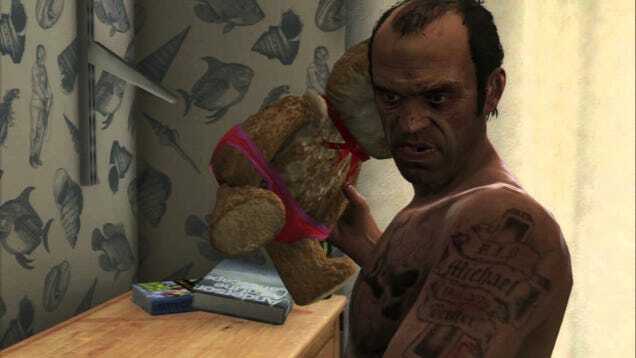 Trevor is arguably one of the few playable GTA characters in the universe that not only gets what it means to be in the GTA world, but revels in it. He doesn’t want to be likeable or sympathetic. He doesn’t want you to feel comfortable, or somehow justified in doing the horrible things you do on the streets of Los Santos. Even after the brutal torture scene in the By the Book mission, he makes it clear he only did it because he enjoyed it, not because he was forced to by the FIB. Trevor embraces anarchy, lacking any remorse, all while wielding a strangely fickle moral code. Every time you switch to him from another character, something bizarre awaits; vomiting in a random spot, walking around half naked in public, being chased by the police, waking up next to dead bodies, and flushing a leg down a toilet. I don’t think there were ever as many disturbing moments in GTA IV (or, in fact, in any of the GTA games) as there were with Trevor, which is saying a lot. Trevor is a Joker whose Batman/audience happens to be us. We can condemn and criticise his violence and greed, but we can’t turn away. Rockstar continually pushes the edge through Trevor and challenges us in the process. But not in any obvious way, lecturing us on the moral ramifications of this or that. Instead, the message isn’t about torture or even violence and how terrible it is. It’s how dulled we are to it entirely, making violence a matter of indifference, or even worse, amusement. The chemistry between the three characters is always a romp, as when they ask each other about their first scores and Franklin has to confess to his pitiful virgin bounty. Their car rides together contain some of the best dialogue ever written. The character models have very realistic detail compared to the simpler features of GTA IV, and the textures are as layered and nuanced as the gameplay that seemingly takes everything into account. GTA V is the ultimate sandbox for villainy and crime. The only thing I really longed for was some stronger female characters (would it be too hopeful to long for a female protagonist in the next GTA?). And yet, GTA IV still comes out ahead. What am I good at, Roman? What is my trade? I deal in death because that is all that is open to me. He begins in the depths, arriving “fresh off the boat” to Liberty City with nothing to his name after his cousin’s promises of riches ring empty. English isn’t Niko’s first language, and likewise, his first apartment, infested with huge roaches, is a far cry from the American dream. His look of disgust when Roman jumps on the bed with a dead roach on his shoe would be funnier if it wasn’t so depressing. Rather than let the circumstances of being a stranger in a foreign country discourage him, Niko does what he can to adapt, struggling his way up, fighting, robbing, and killing to eke out a living. Throughout every struggle, every strange Liberty City quirk that accosts him, Niko remains true to his personal convictions, a stark contrast to his cousin Roman who lets others push him around. In each mission, there are people who want to exploit Niko, mocking him for being a “yokel,” but even when he’s hired to kill certain people, he’ll often try and make a more humane choice. Niko’s fortunes grow and his status increases with every mission. There are some major setbacks (as when a rival, Dimitri, burns down their apartment and his cousin’s taxi company), but when he climbs back up, it only intensifies the feeling that Niko’s growth is our own. 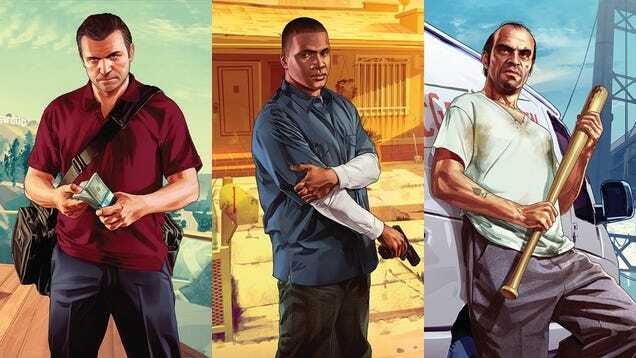 As much as I liked the three protagonists of GTA V, we never experienced that kind of rise, with maybe Franklin as the exception when he gets a fancy new house. The trio do earn more money from their scores, but neither of them were in the financially dire straits Niko was when he began. GTA IV is in some ways a contemporary iteration of the Horatio Alger myth, just drenched in lots of blood. I’m not a war veteran, but a big part of why I relate so much to Niko’s character is because I experienced what it felt like to be an immigrant. When I was around eight, I moved to Seoul, Korea for two years. Even though outwardly I looked Korean, I could not be more foreign as I only half understood the language and couldn’t read or write it at all. Everything felt so different and the culture shock was as confusing to me as when Niko meets characters like the eccentric Brucie Kibbutz for the first time. Other students and neighbours made fun of me for being a Westerner, mocked me for being American, and told me I should go back to my country. Two years after my arrival, I returned to the States, and needless to say, I was ecstatic to be back. I still love Korean culture, love Korean food, love Korean dramas and films, etc. But those experiences remain, and I’ve always been empathetic to the immigrant’s plight because of that. I know what it feels like to go to a foreign place, feel overwhelmed, and try to adapt using whatever skills you have, traits embodied by Niko. I just wished I’d had as much guts as he did standing up to the bullies. 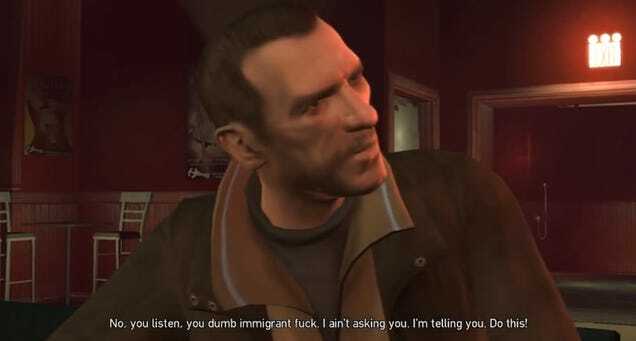 Niko eventually reveals to his cousin that the main reason he came to Liberty City was to find the man who betrayed his military unit and caused most of his compatriots to be killed. When he finally tracks down the culprit (Darko), Niko almost breaks into tears after he learns they were killed for a mere thousand dollars. At that point, I assumed Niko would either execute him or let him go. Instead, the game turned the decision over to me. I was stunned, surprised that it was my choice and not a scripted event. There’d been smaller instances earlier in the game where the decision to execute or not was left to me, but in something this important? I didn’t know what to do. Which one was the right choice? How would it affect the ending? Until then, most moral choices I’d experienced in gaming were pretty straightforward, a game mechanic tallying invisible points on some chart that would have some repercussion down the line. Be good, or evil. Rob the poor woman, or help her. This was the first time I’d ever felt tortured by a decision and it was all the more agonising to realise it was a purely individual choice that had no impact on the gameplay or the story (the two endings would be determined by a choice made in the following mission). Darko, wracked by guilt, had gone crazy, a shell of a man that was a pitiful sight. Should I take justice and execute him? Niko’s time in Liberty City has not only changed him, but it changed me, the player, too. He’s not bound to his roots, not condemned to the crimes he’s committed. His decision is intertwined with my own to spare Darko. He’s weaving his own way. But I could have easily taken revenge, poured twelve bullets into Darko for each of his dead friends, remaining mired in a cycle of violence. I was moved by the decision, haunted by the way it made me question my own feelings. This was in stark contrast to GTA V where the final decision didn’t cause me any hesitation. Franklin is given the option of betraying Michael or Trevor for villains that I did not trust anyway. Michael and Trevor had done Franklin no wrong. The only motive for him to kill either was for profit. The third option, saving both and killing the villains, was the obvious one, and the most satisfying. I enjoyed GTA V’s ending sequence (especially the part where you take down your enemies), but there was no Darko moment where I felt that the characters had changed irreversibly. Even playing out the other endings in GTA V, I did not feel as troubled as I did in GTA IV. That Darko scene still remains one of the greatest moments I’ve ever experienced in any form of entertainment. There’s a lot I loved about both Grand Theft Autos, and if this were a comprehensive comparison of gameplay, this article would go on forever. There’s no doubt that GTA V had a great story, though a very different one. What’s most important for me is how complex game narratives have become, where we can discuss not just what we would do in similar situations, but the moral and ethical impact of the story choices we make. In that sense, both games are a triumph. Peter Tieryas is a character artist who has worked on Guardians of the Galaxy and Cloudy With a Chance of Meatballs 2. His novel, Bald New World, was listed as one of Buzzfeed’s 15 Highly Anticipated Books as well as Publisher Weekly’s Best Science Fiction Books of Summer 2014. He tweets at @TieryasXu and blogs at tieryas.wordpress.com.